There is always a challenge in adapting animé series into a live-action flick, which in itself was derived from manga serials. There’s the huge ensemble of characters competing for spotlight. Stories from the source material are also episodic or a complete story arc would run for multiple episodes. Director Shinsuke Sato, however, managed to compress 19 episodes of “Bleach” into a coherent, easily understandable 108-minute melee. Sato is not new in helming a live-action adaptation of animé — he directed “Death Note: Light up the New World” in 2016, which garnered mixed reviews from fans and critics. The former though works on the premise that the viewers already know the mythology of Death Note. In “Bleach,” Sato is introducing this world of soul reapers and corrupted monstrous souls called Hollows to the general audience for the first time. The filmmaker knows the limits of telling a grandiose animé as live action movie so he chose to focus on the two main protagonists — Ichiro (Sota Fukushi), a ghost-seeing human and Rukia (Hana Sugisaki), a soul reaper who had to transfer her powers to Ichiro. The simplicity of the plot as well as the dramatic flashbacks between Ichiro and her mother made the movie character-driven rather than plot-driven. The tragedy that die-hard “Bleach” fans might see is that there were other characters, who have interesting roles in the animé, are left in the background. The final boss — the big bad — lacks depth and is just evil. There is still hope though to see more of these characters if Warner Bros. Japan green-lights a sequel. As for the visual effects, they are top-notch. The Soul Society looks like a magnificent vacation spot while the battle scenes are spectacular. 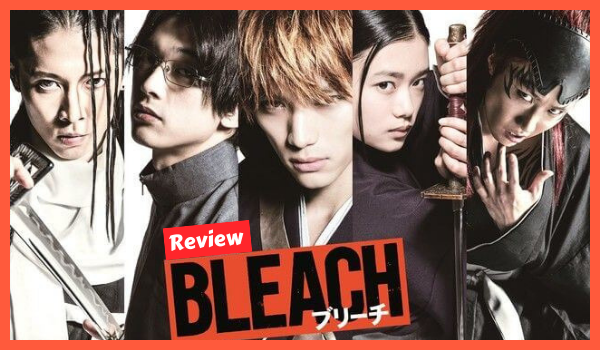 Nevertheless, “Bleach” can be enjoyed as a standalone story, without any problems of the usual convoluted live-action adaptations of animés. Maybe Hollywood could leave animé movies now to the Japanese?